If you are a smoker then you likely already have countless people telling you to quit. You have seen photos of what a smoker’s lungs look like. You have read the countless articles linking smoking to cancer, heart disease, sagging skin, wrinkles, premature aging, damaged teeth, cataracts, asthma, bronchitis, heart attack, stroke, and countless other conditions. None of these adverse effects have bothered you enough to quit smoking, but what if kicking the nicotine habit is all you need to do to stop snoring? Would you be willing to quit? If not, curing snoring is possible with snoring mouthpieces such as the Zyppah device, or the adjustable SnoreRx device. Considering air has to flow through a high-traffic nicotine area to reach your lungs, it should not be too surprising that smoking can cause snoring. Not to mention, smoking increases your risk of respiratory issues, which makes it harder to breathe. If you are a snorer, your body is already being deprived of oxygen. It does not need a respiratory illness, too. Weakened Respiratory System – Every time you inhale, smoke irritates mucus membranes in your throat and nasal cavity. Irritation causes swelling, which promotes the production of phlegm as a natural protective reaction. Of course, phlegm increases nasal congestion. If you are congested then your windpipe does not stay open enough to allow for adequate airflow. As air forces its way through it causes the vibration of soft tissues. This vibration results in a snoring sound. Increased Production of Mucus – Countless studies have proven that mucus production increases when you smoke. There is a protein called BIK in your lungs that prevents cells from producing mucus at a dangerous rate. Unfortunately, BIK is suppressed by chemicals in cigarettes. Since there are decreased levels of this protein in your lungs, an excessive amount of mucus can be produced by your body. Excessive mucus causes obstructions in the airways. In addition to causing snoring, this reduces overall lung function. Also, smoking destroys cilia, which is the mechanism that moves excess secretions to the upper airway, so they can be swallowed. Without cilia, secretions settle in the lower airway. 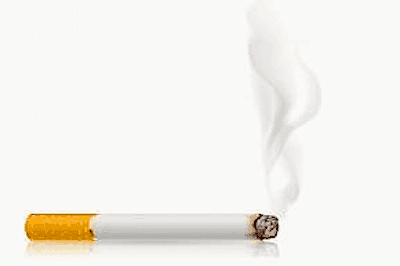 Lung Damage – Smoke obstructs small vessels in your lungs. Since the capacity of these vessels is reduced, airflow is hindered. Snoring results from this poor airflow. Airway Damage – Nerves inside the airway are damaged every time you smoke a cigarette; airway damage contributes to snoring. Disturbed Sleep – As a snorer, your sleep is already disturbed enough, or maybe it would be fairer to say that smoking contributes to snoring, which disrupts sleep. Well, this may be true, but smoking affects your sleep pattern in another way. Every time you finish a cigarette, your body goes through withdrawal. When you are awake, you address this withdrawal by lighting another cigarette. When you are asleep, your body disrupts you, trying to tell you to smoke. So, your sleep is being interrupted due to withdrawal and snoring. Some people feel that since they are older or they have smoked over half their life that the damage has already been done. Is there really any point in quitting? Of course, there is! The human body begins to heal by regenerating cells right after your final cigarette. Nerve endings are growing within 48 hours and lung function improves within 72 hours. Within nine months cilia have regrown in your lungs to better control mucus production. Your risk for mouth, throat, and esophagus cancer are decreased by 50 percent within 10 years. Will you stop snoring instantly? It is highly unlikely. Wearing a snoring mouthpiece can help reduce your symptoms. However, as your body heals, you may find that you don’t need the mouthpiece anymore. So, you quit snoring, and as a bonus, you reduce your risk for countless medical conditions. Are You a Candidate for the Pillar Procedure?